The only Xda to come with an in-built fingerprint scanner, so your data stays in safe hands. The Xda Mantle comes pre-loaded with the latest Windows mobile software and supports Windows open architecture, so you can build your own custom applications. * Featuring a fingerprint sensor as an alternative to PIN code locking. * 3.0 mega-pixel camera with auto focus, great for taking pictures and video clips. * Storage card encryption and remote wipe for added security. * HSDPA and WLAN for fast downloads and internet access. * Large 3.5 inch touch screen makes it ideal for applications, media and data to be viewed with complete clarity. * In-built GPS broadens the number of applications the Xda Mantle can support helping businesses mobilise their existing applications. Main Features: - ROM: 256MB + 1GB Flash, RAM: 128MB SDRAM - Available memory: Micro SD HC (up to 32GB) - Processor: Qualcomm MSM7200, 400MHz - Hours talktime (up to, in hours) -Talk time GSM: 464 minutes, Talk time WCDMA: 284 minutes - Hours standby (up to, in hours) - Standby GSM: 407 hours, Standby WCDMA: 460 hours - 3.5 inch? QVGA touch screen - 240 X 320 dots resolution with 65,536 colours - 2 x SDIO Secure Digital Expansion Slots - 3.5mm Headphone Jack - Dimensions: [w]137.4 x [h] 72.9 x [d] 20.5 mm - Weight: 220g. 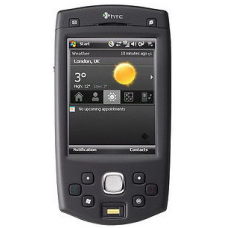 Software: - Windows Mobile 6 Professional - Contacts - Calendar/Appointments/Reminders - Notes/Tasks - Mobile Word - Mobile Excel - Mobile Powerpoint - SMS, MMS, Email, MS Push 3G Capable - Mobile Internet Explorer - Bluetooth, GPRS, 3 MP Camera, MP3 Player.